The Egypt Exploration Society remains the leading UK organisation carrying out archaeological fieldwork and research across Egypt and Sudan, and thanks to the contributions made by members and donors we have been able to support a number of projects in the field this year. The Current British Archaeology in Egypt and Sudan conference showcases these projects, providing an opportunity to meet field directors and their teams, and to hear the latest news from these sites. It reflects our understanding that Egypt’s unique heritage transcends modern political boundaries and brings together experts from a variety of archaeological fields to share their experience and knowledge. Over the course of the day attendees will hear from project leaders, while others will be represented by a series of posters on display around the venue. As always, there is provision of time for networking with others working in the field and those that have supported this work. Old and Middle Kingdom mastaba cemeteries where lower ranking officials were buried “beneath the feet of their lords” have hardly survived, and mudbrick superstructures often disappeared. One of the central aims of the fieldwork of the Qubbet el-Hawa Research Project is to understand the infrastructure of such cemeteries and how ancient Egyptians navigated access routes during funerary rituals and after burials. Amongst the most important ones were causeways which have hardly been addressed by scholars as yet. Monuments in their own right, causeways such as the one attached to the tomb of Sarenput I were substantial additions to tombs that not only served the tomb owner himself but also later generations of visitors who frequented the cemetery. This paper presents the results of new excavations carried out in the Main City South at Amarna in the autumn of 2017, funded by the Egypt Exploration Society. The work was undertaken as a result of the discovery of large amounts of structures and objects related to domestic industrial activity at the building in 2014 and after the initial excavation of the site, in 1922. The complex, as excavated, includes two domestic housing units and a courtyard in which pyrotechnological work was carried out, including the processing of glass, faience and metal, but also the chipping of stone. The main produce of the complex was jewellery, but there is also some possible evidence of the production of glass ingots, similar to those found on the Uluburun shipwreck. The Interdisciplinary Project of Padua University in collaboration with different institutions is aiming to study and preserve the two connected sites of Kom al-Ahmer and Kom Wasit in Beheira Province. Since 2012, the international team is working side by side with Egyptian colleagues in order to have better understanding of the region. In 2017, the work seasons at the Koms saw the team focusing on new excavations units as well as consolidating work on former ones. At Kom al-Ahmer, hundreds of amphorae have been discovered within an amphorae storage building accompanied with tens of bronze coins. These contexts indicate a vital role in the ancient economy of the region and provide a better dating system for both structures and material culture. 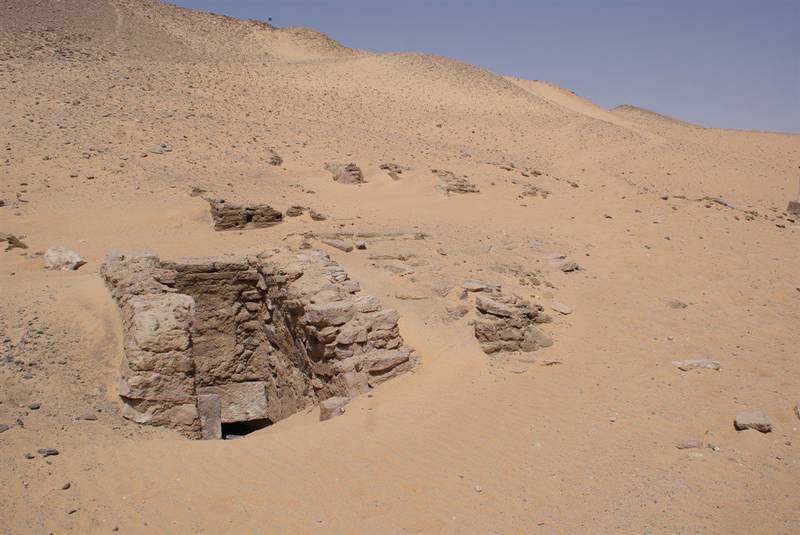 The lecture reports of a new archaeological project at Shalfak, one of two surviving Middle Kingdom fortresses in Lower Nubia. After the site had seen a summary investigation by the Harvard University and Museum of Fine Arts Boston Expedition in a single season in 1931, it remained untouched, until it was thought to have been drowned in the waters of Lake Nasser/Nubia in the 1960s. Only in 2002 it transpired that Shalfak and the neighboring fortress of Uronarti had survived on small islands in the reservoir lake, some fifty kilometres south of the Egyptian-Sudanese border. Funding of the Egypt Exploration Society was instrumental to set up the Shalfak Archaeological Mission (SAM) in the harsh conditions of this environment in 2017. The talk will introduce both the site and the current fieldwork, including a first glimpse at the results of the 2018 spring season. From the predynastic period, Coptos was one of the most favorable spots for human settlement in Upper Egypt. This explains why the city has been the first main religious centre in Egypt, long before Karnak. Blessed with an extensive agricultural area, this great river port sat upon the starting point of the Wadi Hammamat, the main route connecting the Nile Valley to the Red Sea, giving access to the Eastern Desert and its precious minerals and to products coming from the Far East. Over more than four millennia the town was a flourishing economic centre decorated with monuments from all major rulers. Most of these monuments are now gone, having been reused as quarry. Thanks to our joint mission, we are uncovering the remains left of this glorious city and it is surprising how many of them are still preserved beneath the ground, just waiting to be found. This presentation will browse through the latest monuments and structures found in Coptos, allowing us to get a better understanding of what the city must have looked like during its many construction phases.